At Battery Joe we offer many services like cellphone and tablet repair but our heart and soul has always been batteries! “Battery” is in our name and no one does them better than we do. We have always prided ourselves at being able to supply any kind of battery for any vehicle or device out there. From cars and trucks to wrist watches, from laptops to cordless drills, from bio-medical to alternative energy we have the batteries that power your world. 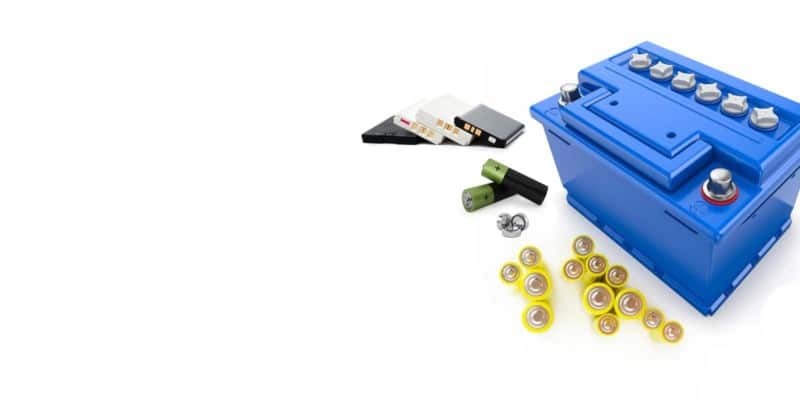 No matter if you are looking for simple house hold batteries or looking for complex industrial/commercial applications we have your power needs covered. You will not find a more comprehensive battery company with more industry knowledge than the battery experts at Battery Joe. Our line of Evermax batteries will get you cranking and down the road with no worries. Our automotive line of batteries come with great full replacement warranties. That means if your battery goes bad while under warranty you get a new one for free, no confusing prorates to mess with. Battery Joe also offer free testing and installation. Join our loyalty program and get free jump starts for life on any car or any battery within the city limits of a city where a Battery Joe is located. Come check out our full line of traditional and high performance batteries for all your battery needs. Everyone likes to hit the links in a golf cart, hit the road in a RV, hit the waves in a boat or hit the trails on a favorite motorcycle or ATV. However you like to relax and have a good time let our battery experts super charge your fun. We have a full line of recreational batteries with great warranties and knowledgeable experts to get you out there fast. We even have all the information and products you need to take care of your toys and make sure they are ready to play when you are. Phone and Computers and Drills, Oh my! Cell phones, laptops, 2 way radios, cordless phones, toys, tools… The list is endless and we have batteries for it all! We specialize in those strange, hard to find batteries. Batteries for those devices you didn’t even know you could get a battery for. With 10 years’ experience, thousands of batteries in stock and over 100 vendors we can find a battery for almost anything. Nothing is too strange, too small or too large. It does not matter what industry you are in, your business runs on batteries! Simple machines in an office like computer power back-ups and cordless phones keep your staff productive. Heavy equipment, trucks and 2way radios keep farms, construction sites and road crews able to make the dust fly. Specialized testing equipment and highly specialized machinery keep hospitals and science labs saving lives and paving the way for innovation and we have batteries for all of it. Contact us to find out how we can power your business. So are you getting the idea? We have batteries for EVERYTHING!